Saturday’s event will feature presentations and mini-workshops from 11 a.m. to 1 p.m.; activities will start at Root Riot Harambee Garden, 500 N. Waller Ave., and additional presentations will take place at GlennArt Farm, 5749 W. Midway Park, and St. Martin’s Episcopal Church, 5710 W. Midway Park. 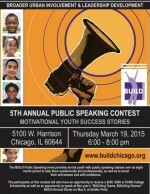 The fifth annual competition will be held 6 to 8 p.m. March 19 at BUILD Inc., 5100 W. Harrison St. 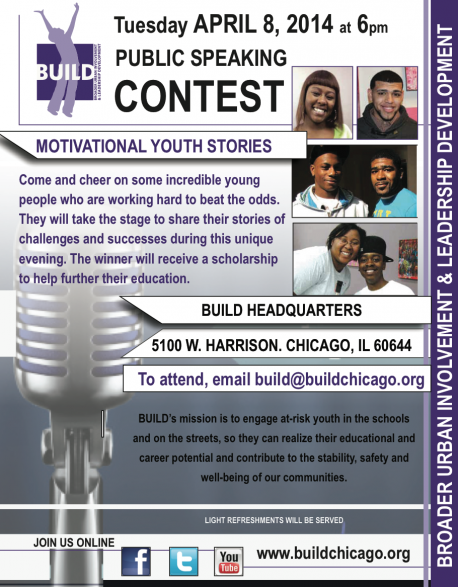 Cheer on young people who will be competing for a scholarship 6 p.m. Tuesday, April 8 at BUILD headquarters, 5100 W. Harrison St. 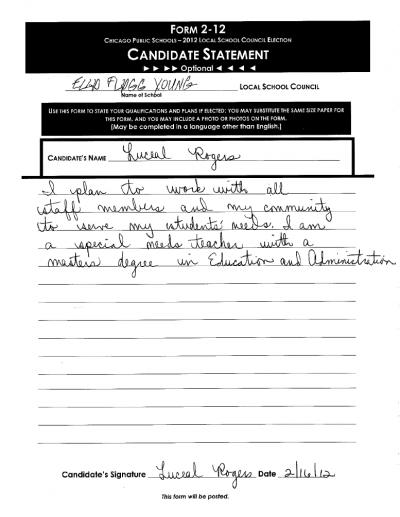 Winners of the April 18 election will help the school’s staff determine how to plan the longer day. 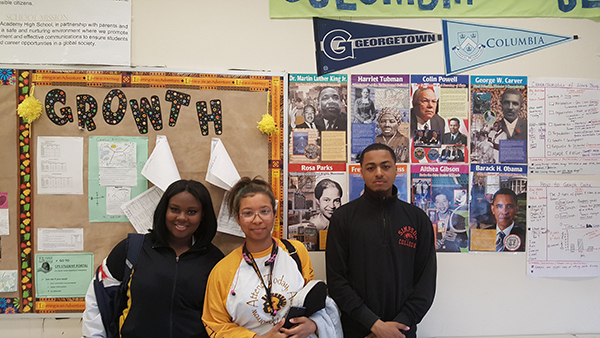 One woman shares her thoughts about how her friend, a youth, black youth from Austin, has been treated. This piece was originally published in the Wednesday Journal.